Malaysia appears to be too preoccupied by domestic challenges to give foreign policy the kind of serious attention it deserves — on autopilot, running on yesterday’s achievements and drawing inspiration from an outdated playbook. THERE is no doubt that Malaysia, like other countries in the region, now finds itself in a challenging global and regional environment. While much has been said about the impact of the global economic downturn on Malaysia, little attention has been given to the looming geopolitical challenges we face. New strategic groupings like the G20 (which brings together key developed and developing countries) and the BRIC (Brazil, Russia, India and China), where Malaysia has no standing and little real influence, have moved to the forefront of international affairs. At the same time, groupings like the Non-Aligned Movement and the Organisation of the Islamic Conference, which have been an integral part of our foreign policy configuration, are less relevant today. The global military balance is shifting as well. The United States, after over a decade of continuous warfare and economic crisis, is having to recalibrate its global posture. China, on the other hand, continues its rapid ascendency towards superpower status. Sino-American rivalry will play out most intensely in the Asia-Pacific region in the coming years with implications for all Asean countries. The existing Asean-centred regional framework, which has been the mainstay of our approach to regional security, could well be subsumed by wider transpacific political and economic imperatives. Further afield, the seismic changes now under way in the Middle East demand, at the very least, a rethinking of our approach to that region. If Malaysia is to successfully navigate the emerging geopolitical construct, we will need fresh strategic vision and an innovative and cutting-edge foreign service to go with it. Unfortunately, however, Malaysia appears to be too deeply preoccupied by domestic challenges to give foreign policy the kind of serious attention it deserves. Coping with the international fallout from domestic events has also been a huge distraction. There has not been a serious foreign policy review since the early years of the Mahathir administration when Malaysia made a decisive shift towards non-alignment and greater South-South cooperation. We appear to be on autopilot now, running on yesterday’s achievements and drawing inspiration from an outdated playbook. In short, we are adrift in uncertain waters. Of course, there have been visits galore, stirring speeches and big conferences but they mean little without a clear context, well-articulated policy goals and a determined plan of action. Stock phrases like “enhancing relations” and “promoting peace and understanding” are a poor substitute for serious policy. Unsurprisingly, despite having 106 missions abroad, Malaysia has steadily lost ground in terms of international respect and leadership and we are no longer punching above our weight. In his year-end review last month, Canada’s Foreign Minister, for example, singled out Indonesia and Vietnam as key partners in the region. He is not alone in overlooking Malaysia. 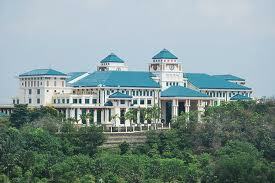 It is no secret that Wisma Putra no longer has the capacity to provide sound strategic advice to the Government. Increasingly, the Government has turned to foreign advisers and PR firms to manage its foreign agenda. Key relationships have also been effectively hived off from Wisma Putra and handed out to special ministerial-level “envoy-politicians” – China to Tan Sri Ong Ka Ting, India to Datuk Seri S. Samy Vellu, and now the US to outgoing ambassador Datuk Seri Dr Jamaluddin Jarjis. These developments only increase the perception that Wisma Putra’s role in the foreign policy process is now largely administrative and pro forma. Indeed, Foreign Minister Datuk Seri Anifah Aman’s recent New Year address to foreign heads of mission appears to confirm both the disconnect and the decline in Wisma Putra. What’s the point in stressing the importance of economic diplomacy, for example, when Wisma Putra is a mere spectator in the process? Wisma Putra has only itself to blame for this sorry state of affairs, having done little or nothing to reverse the decline in its professionalism despite all the writings on the wall. It has become too myopic, too accustomed to mediocrity. Its English language skills, for instance, have been degraded to such a degree that the ministry was recently forced to abandon the long-standing policy of using English in internal communication as a way of honing language skills. Can we even engage the world at large without proper communication skills? It is also common knowledge that foreign missions in Malaysia have scant respect for Wisma Putra’s professionalism and routinely bypass the ministry to get things done. One ambassador called it a “black hole” where letters and other requests go unanswered and where it is almost impossible to get intelligent responses to important issues of concern. Even our own ambassadors often complain that they cannot get a decent and timely response from head office. Wisma Putra’s acuity is also diminished both by the closed nature of the foreign policy-making process that is in place and the poor support it receives from our think-tanks and universities, many of which function as mere echo chambers rather than dynamic centres for foreign policy innovation and research. One can only hope that the upcoming general election will result in the kind of stable political environment that is needed for a more sustained focus on foreign affairs. In the meantime, restoring Wisma Putra’s professionalism is critical. Our country deserves a better foreign service.